Tim Russert is dead. But the room was alive. Big Ticket Washington Funerals can make such great networking opportunities. Power mourners keep stampeding down the red carpets of the Kennedy Center, handing out business cards, touching base. And there is no time to waste in a gold rush, even (or especially) at a solemn tribal event like this. Washington—This Town—might be loathed from every corner of the nation, yet these are fun and busy days at this nexus of big politics, big money, big media, and big vanity. There are no Democrats and Republicans anymore in the nation’s capital, just millionaires.  That is the grubby secret of the place in the twenty-­first century. You will always have lunch in This Town again. No matter how many elections you lose, apologies you make, or scandals you endure. 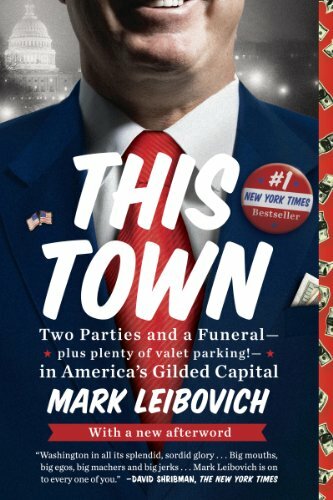 In Mark Leibovich, chief national correspondent for, presents a blistering, stunning—and often hysterically funny—examination of our ruling class’s incestuous “media industrial complex.­” . 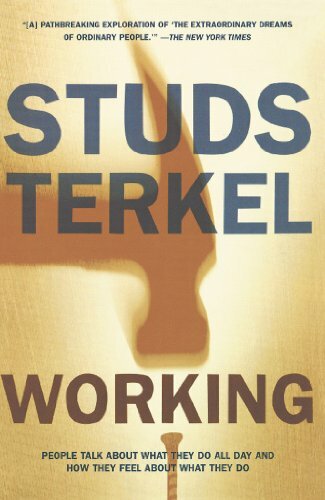 . .
WITH A NEW FOREWORD BY ADAM COHEN OF THE Perhaps Studs Terkel's best-­known book, is a compelling look at jobs and the people who do them. Consisting of over one hundred interviews with everyone from a gravedigger to a studio head, from a policeman to a piano tuner, this book provides an enduring portrait of people's feelings about their working lives. "A powerful, original, indescribable and incredible book... Only an interviewer of genius, exploiting the tape recorder as hardly anyone else has done, could possibly have brought it forth.­" —Lewis Mumford "A magnificent book... a work of art. 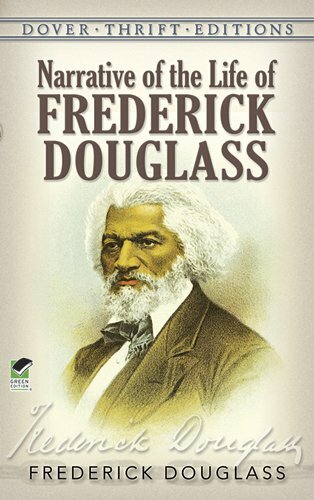 To read it is to hear America talking.­" - "Splendid... Important... Rich and fascinating... The people we meet are not digits in a poll but real people with real names who share their ancedotes, adventures, and aspirations with us.­" - "The talk in is good talk--­earthy, passionate, honest, sometimes tender, sometimes crisp, juicy as reality, seasoned with experience.­" - "Nothing could tell our . . .
Generally regarded as the most influential social science treatise of the 20th century, this work by legendary economist John Maynard Keynes is relevant reading even today for anyone who wants to understand international economics and foreign affairs. First published in 1919, created an intense and immediate controversy for its brazen criticism of world leaders and the Treaty of Versailles that ended World War I. Keynes argued that as a blueprint for peace, it was destined to create tension and conflict ahead...­and history proved him right when world war broke out again within a generation. The popularity of this key work, and its place in history, helped cement Keynes’s status as one of the 20th century’s principal economists. 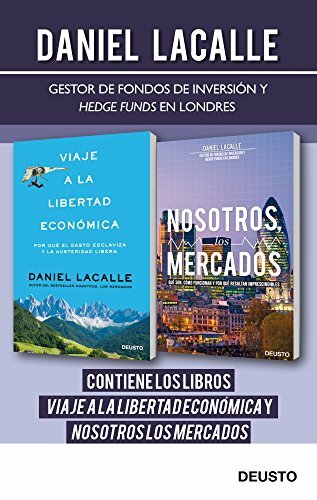 VIAJE A LA LIBERTAD ECONÓMICA: El prestigioso economista Daniel Lacalle nos propone en este ensayo un apasionante viaje alrededor de las principales ideologías que en materia económica y social pergeñan el mundo en el que vivimos. En dicho periplo no sólo conoceremos el propio recorrido ideológico del autor -­en el que transitó, tras leer y conocer en persona a sus principales ideólogos, del colectivismo al liberalismo austríaco, plaza en la que izó la bandera de la libertad y la responsabilidad individual-, sino que entenderemos cómo han evolucionado hasta nuestros días las grandes corrientes de pensamiento tales como el colectivismo, el monetarismo o el liberalismo. Asimismo, entenderemos por qué, en los últimos tiempos de crisis económica, política y social, las distintas ideologías se han convertido en argumentos arrojadizos de tantos y tan reconocidos economistas -­pues la ideología está siempre presente y emana ineludiblemente en sus planteamientos-, y por qué, a menudo . . .